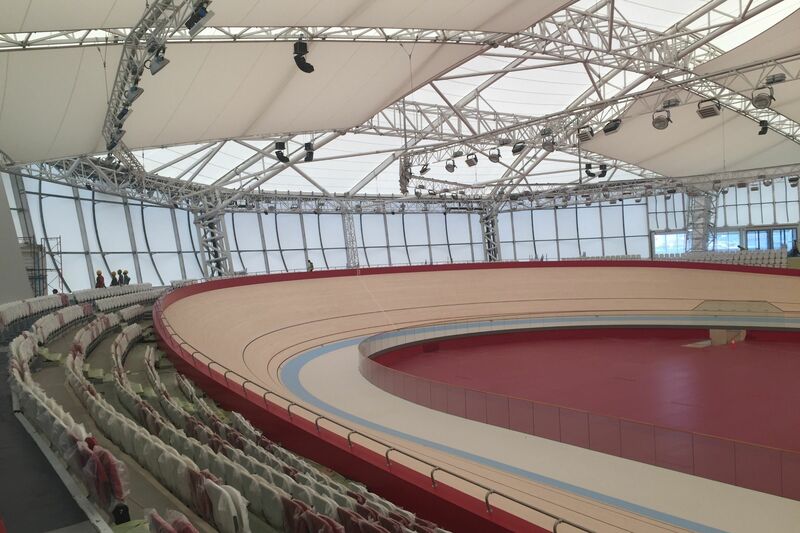 David Coundon, Director at Space Architects is currently in Jakarta acting as a Technical Advisor on the newly developed velodrome on behalf of the government ahead of the upcoming Asian Games. Appointed by Arup, David is working with Jakpro, the procurement arm of the Indonesian Government to ensure that the building and facilities are in line with the requirements of the Union Cycliste Internationale (UCI) and the Asian Games Organising Committee (AGOC). Space Architects have travelled to Jakarta a number of times throughout the design, development and the delivery of the project. David’s current trip is focused on carrying out a design and sports compliance check as well as onsite inspections in order to ensure that the previous design reviews have been correctly implemented. David and the Arup team will present their findings to the project steering group whist in Jakarta and follow up with a detailed report ahead of the use of the new velodrome in the upcoming 2018 Asian Games.